Good morning! Today I am participating in the Around The World blog hop. 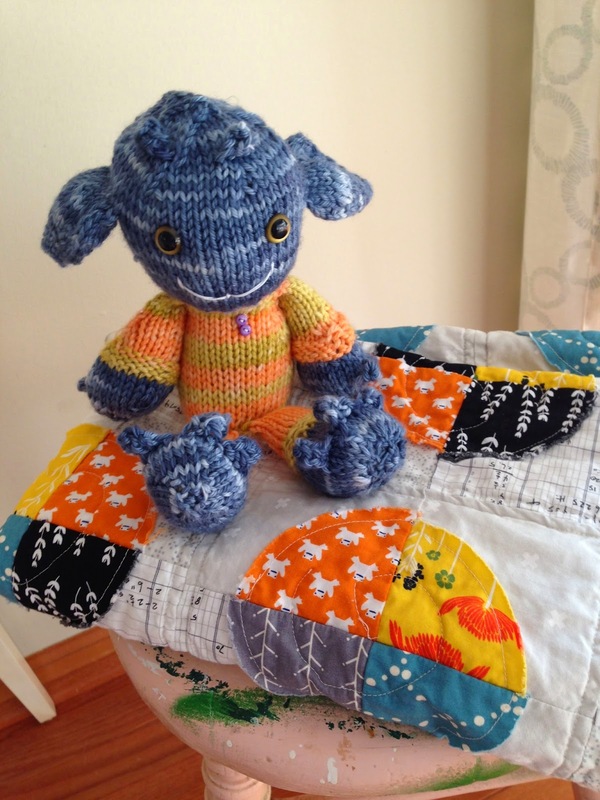 I was asked by the talented Cynthia of DreamQuiltCreate, Cynthia is a friend I met on IG and through blogging. Be sure to stop by her blog to see what her hands have been up to! There are so many projects I'm working on that it's hard to pick which ones to share with you. Topping my list is the current IG quilt along that Lori is hosting. 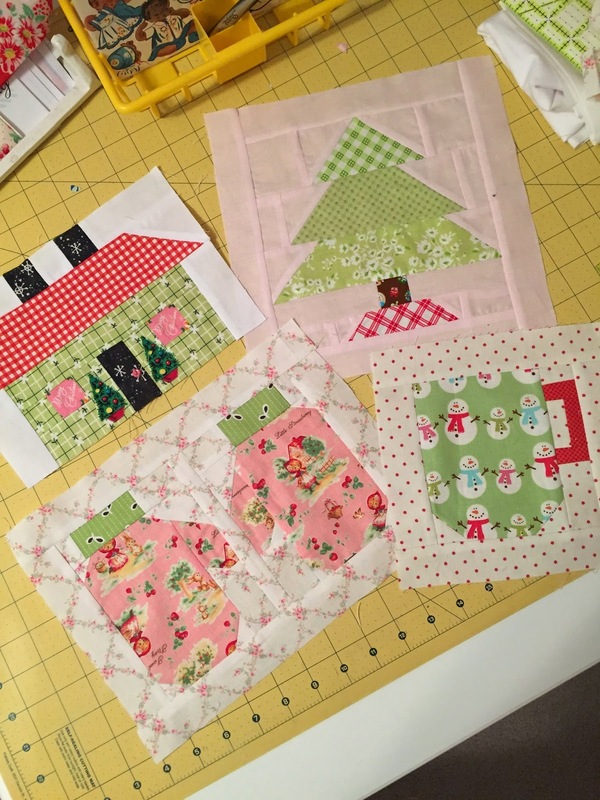 Be sure to check out #haveyourselfaquiltylittlechristmas to see all the gorgeous blocks popping up. 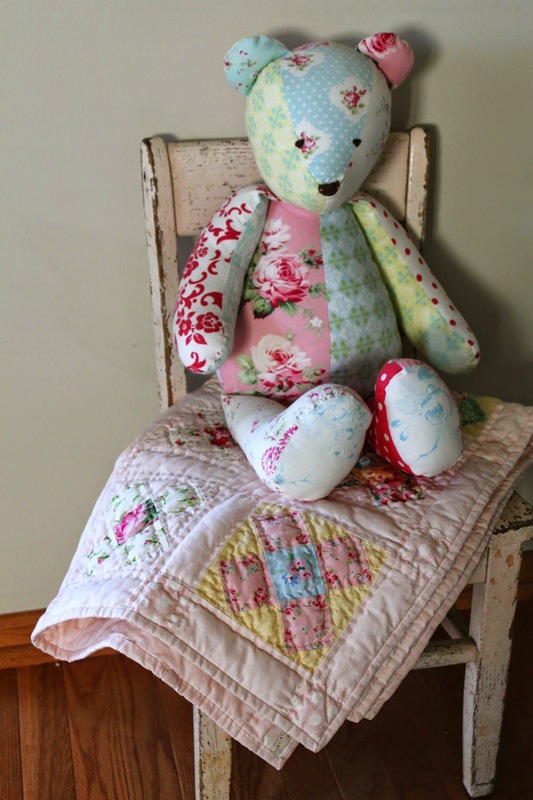 I'm a big fan of Lori's and have enjoyed making lots of her quilts. 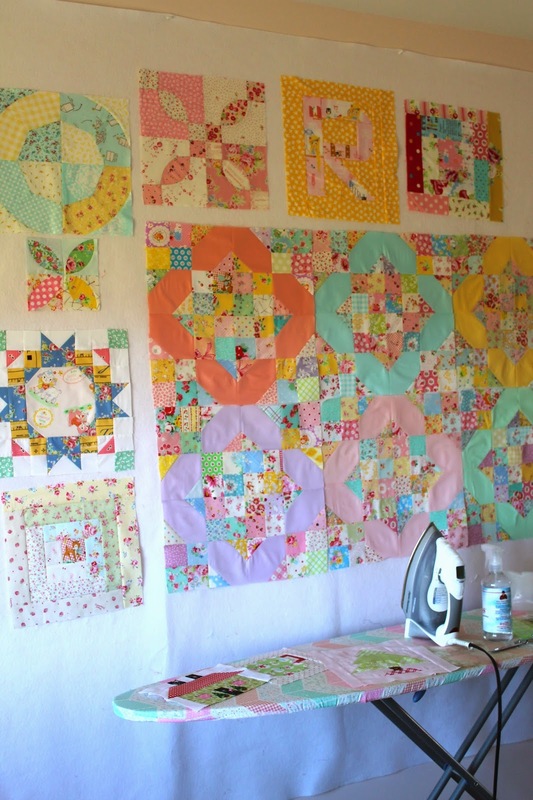 My design wall is full of works in progress, the largest being the Scrappy Crossroads blocks, also a pattern by Lori, that I am making. This is going to be a king-size quilt and I'm really enjoying the process of making it. I find Lori's patterns very straight forward with a great element of fun. She is very good at breaking down a new technique into doable steps. I am having a blast with the Christmas blocks and it's sure helping me to get into the holiday spirit. 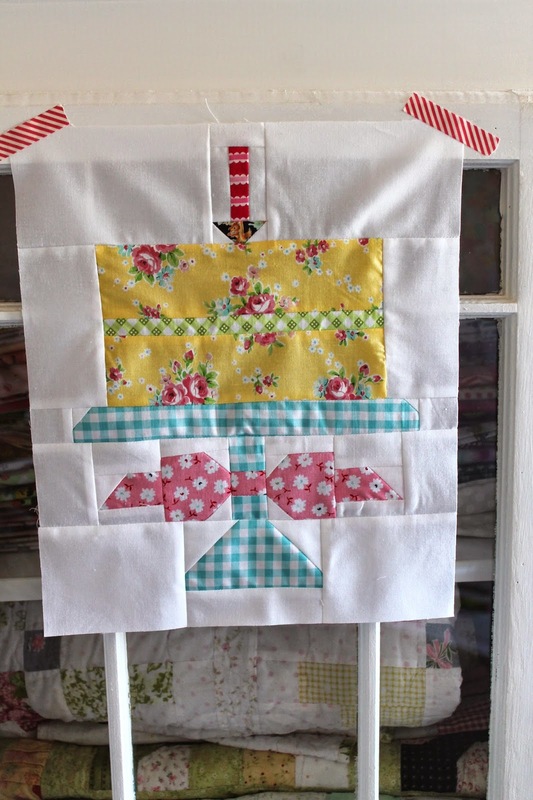 Lori recently had the first birthday of her book "Quilty Fun" and designed this adorable birthday cake block which is still available on her blog. I would love to make a quilt of birthday cakes. Greg of Greydogwood Studio made a whole quilt of these blocks and it's fabulous. You can see it here. My style is greatly influenced by Japanese fabric, vintage quilts, vintage children's toys, children's literature, my love for Jesus Christ and all things pink, pretty and shabby. My other passion is knitting. My knitting really took off when I found the blogs Hey Porkchop and Little Skein in the Big Wool. These ladies are extremely talented and inspired me to take my knitting to the next level. Thanks to them my yarn stash has grown immensely though nothing compared to the fabric stash! I have enjoyed participating in online swaps and am currently a member of the Sew Sweet Bee organized by the very sweet and talented Donna of Donnas Lavender Nest. I cannot remember a time that I wasn't creating. Growing up I loved to draw and build fairy houses in the woods near my home. There is such an incredible feeling I get when I am making a quilt. The only way I can explain it is that I when I'm quilting I feel like I am truly using the gifts God has given me. Something close to magic occurs when needle, thread and fabric meet. There is a strong sense of belonging and attachment to the quilters before me. I find that most quilters have more than one passion, that we like to create in general and will try our hand at many things. We believe in community and depend on each other and enjoy helping each other. The online creative community is a great source of inspiration and a big group of cheerleaders who are always there for you. 4. How do I work? My sewing room is upstairs in my home. I have painted it a lovely shade of pale pink and it currently looks like a tornado went through it. I'm pretty messy when I quilt and then find myself unproductive in the mess and have to stop and reorganize. I'm surrounded by vintage salt and pepper shakers, owl pitchers and mini quilts from the swaps I've taken part in. I have a bright sunny window where I sit to sew and it's my little slice of paradise. I sewed on a Brother PC6000 for a number of years and currently sew on a Viking Sapphire. Last summer I became the happy owner of a Singer Featherweight. I'm hoping my next purchase will be a serger. I would like to open this blog hop up to my readers. If you would like to participate and have others get to know you better please plan a post for next Monday, November 16. Leave a comment on this post letting me know you are participating and I will update at the end of the week to let everyone know where to visit next Monday. I hope you have enjoyed getting to know me a little better. Thank you for all your support and comments through my blogging adventures. It has meant a great deal to me to have you along on this journey. I've made some wonderful friendships here. This is one of my favorite meme's because it really gives us a glimpse into you! I love your studio, sewing in the sunshine is my favorite so I smiled when I read that, and I have always loved your work and the way you use color. Everything you make is so beautiful Renee! Thanks for sharing your work and yourself with us! How fun getting to know a little more about you, Renee. Your projects are always inspiring. You really have a talent for writing and made me feel like I was sitting next to you listening to your story. Thanks for sharing about your love of creating. Yours has been a favorite blog to follow for a few years now, thanks to my friend, Beverly, above. 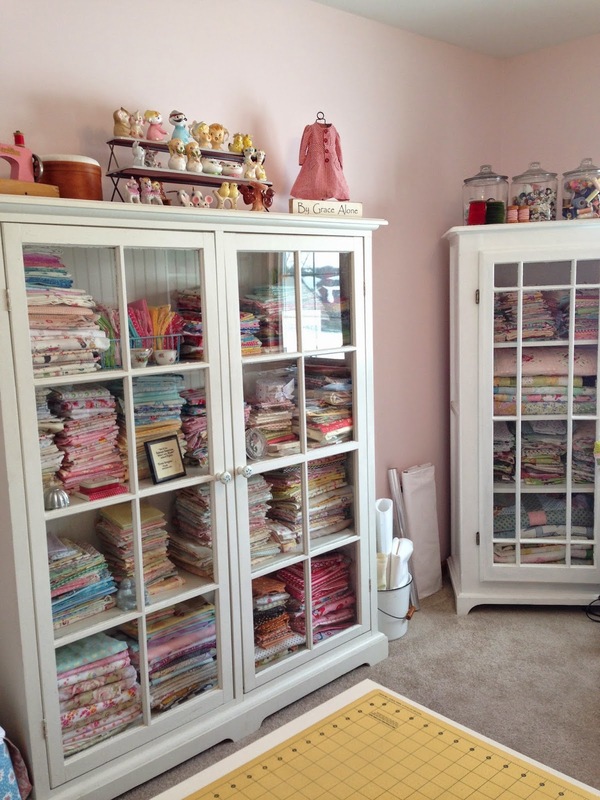 I found you through her blog, My Sew Sweet Studio. Have you seen her new layout? It is so bright and cheerful. Just like yours! I admire your work and wish I had a teeny bit of your talent. Keep posting your beautiful creations. Thanks so much! What a wonderful post, I loved reading it!